Shailene Woodley has always gushed about Theo James’ kissing skills, and James told Elle that he and “Shai” had natural chemistry from the start. All we can say is… we’re not jealous. Not at all. 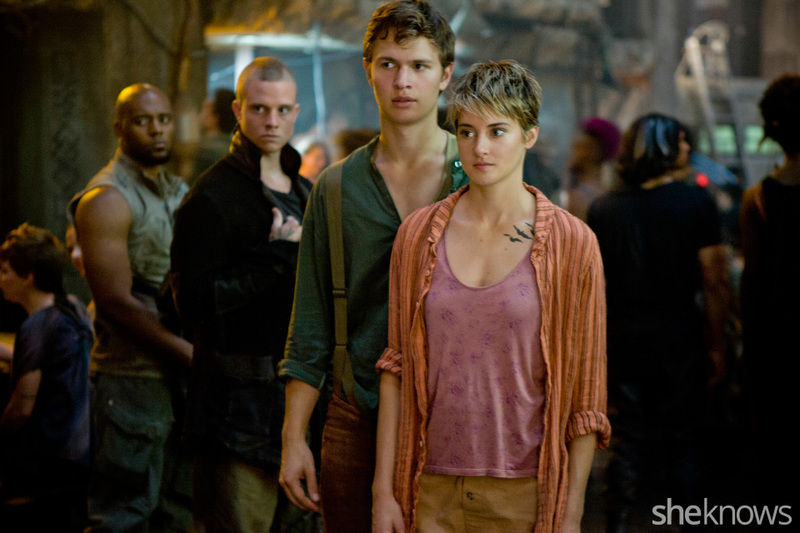 Here, Ansel Elgort looks hot backing Shailene Woodley up, but lately he’s been getting a lot of flak for “running weird” in the trailer. Elgort told MTV News that no, he doesn’t normally run like that (he’s actually very athletic! 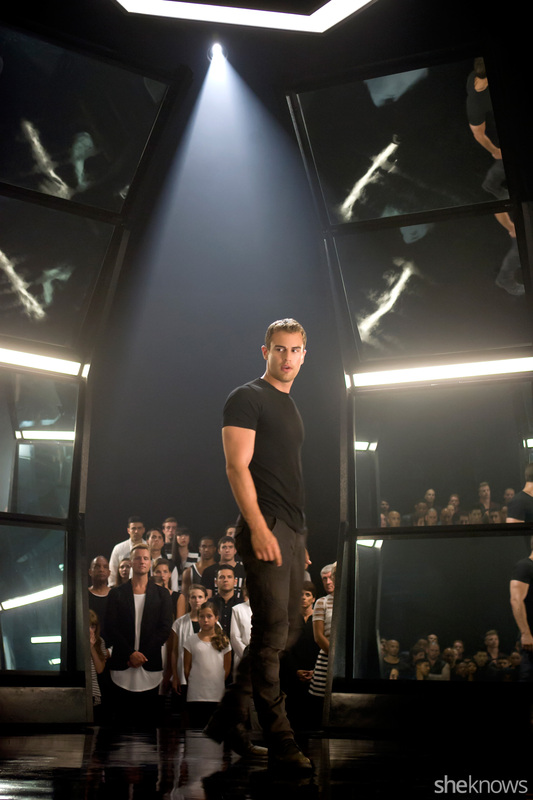 ), but it was an acting choice he made, telling MTV News, “Shailene and Theo are superheroes. Caleb is not. Caleb represents the intellectual side, the guy who isn’t physical. And I wanted to make sure that was on screen. I wanted to make sure that made sense.” So, I guess that means intellectual guys can’t run? 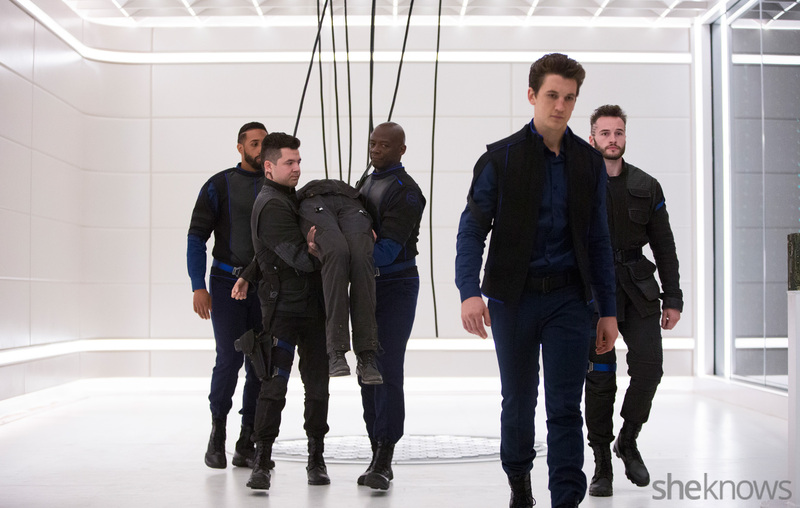 Oh, man, Theo James looks rough! 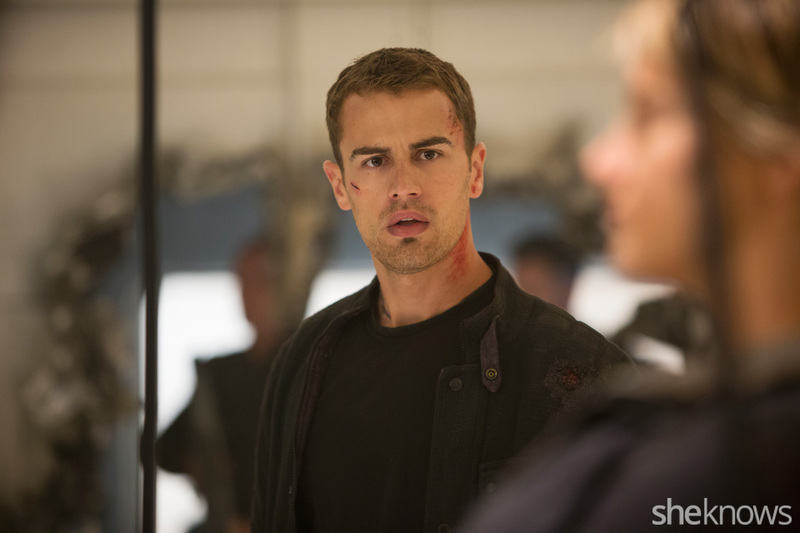 Apparently, Four is going to have some major action and fighting scenes, and he actually jumps over a train with little support! During a recent interview with AOL, James said, “People keep saying to me, ‘You were on wires, right?’ And I’m like, ‘No, no, I did it myself.’ And they’re like, ‘No, you couldn’t do that… you loser! '” Sounds a little dangerous to us. 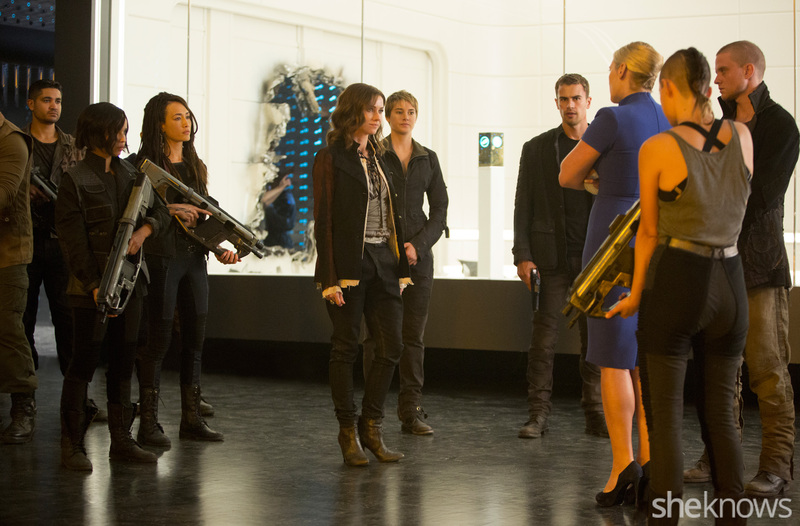 We’re going to see Divergent face off against Jeanine, once again. Actually, in this picture, it doesn’t look like Jeanine has any backup, at all! 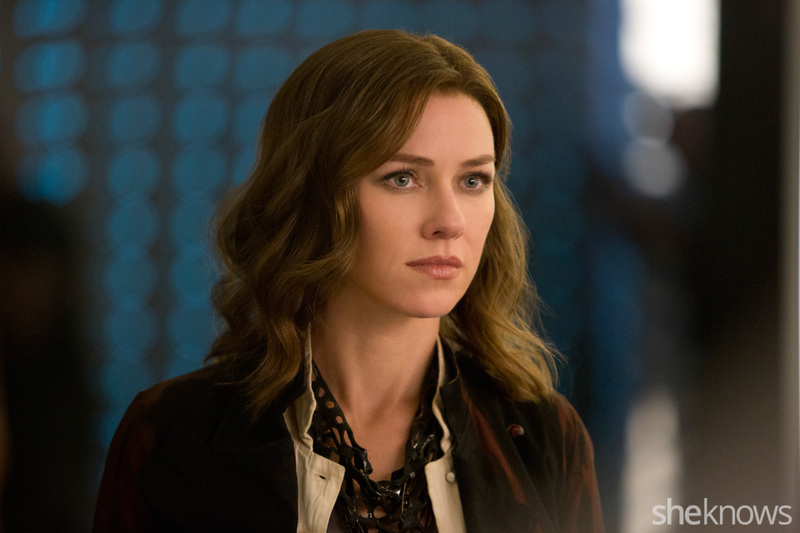 We love Naomi Watts’ look in Insurgent, but apparently she was completely unrecognizable. According to USA Today, when Watts showed up to set for the first day, she was scolded for being in the wrong costume. The wardrobe supervisor thought Watts was supposed to be a part of the 400 “rebellious” extras, not the leading Evelyn. Whoops!